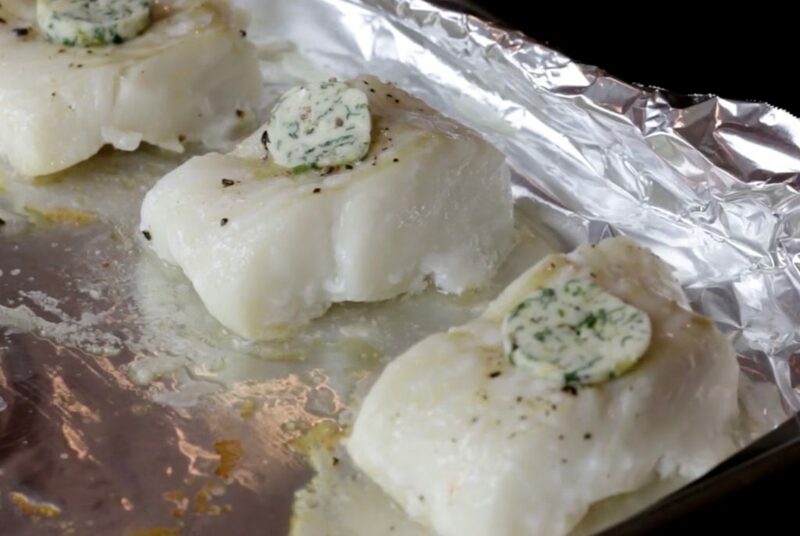 This is the final video in our Fish Master Class series: Roasted Fish Fillets topped with a couple of delicious compound butters. The first fish is a wild Alaskan cod tenderloin. This is a mild-flavored, flaky fish. The texture and flavor of this fish is best when cooked through. It’s a forgiving fish; the natural cod oil keeps the fish moist and even if you happen to overcook it a little. I chose to top this with the Garlic Herb Compound Butter. Our second fish is a wild sockeye salmon also from Alaska. This is a leaner salmon and shouldn’t be overcooked. This fish is medium rare to medium. The taste and texture are excellent at any temperature point. The lemon dill compound butter is perfect for this fish. Roasting fish fillets is simple. Cut the fillets into individual portions before cooking, it has a neater look. Preheat the oven at 400 degrees F. Line a baking sheet with foil and brush with a little olive oil. Season both sides of the fish fillets with salt and pepper. Lay on the baking sheet, rub and turn to coat with the oil. 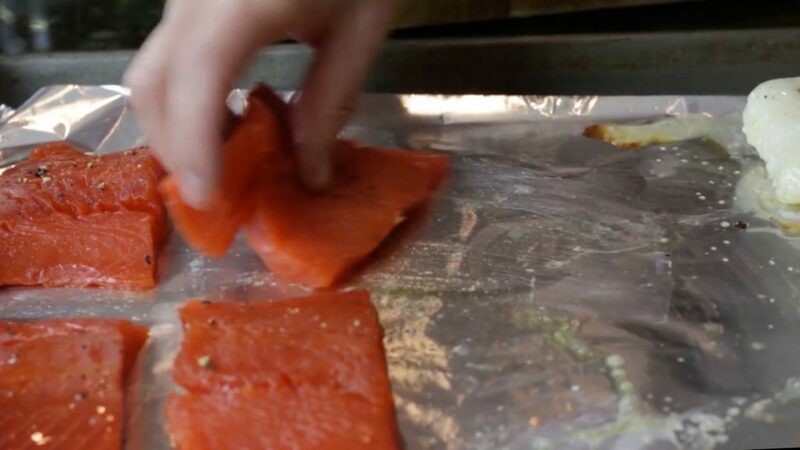 Baking time depends on the depth of the fish, at a minimum a thin fish like the sockeye no less than 6 minutes and the thicker cod could be 12-15 minutes.